Transcendence Inc. is a professional solutions provider for government agencies and commercial businesses. This award-winning company is focused on providing efficient and cost-effective solutions to clients in all industry verticals. At Transcendence, we believe that superior information technology, telecommunications, and business management solutions should be provided by a highly qualified, customer–focused team. We are committed to providing mission-critical solutions within contractual parameters. We use innovative applications developed by experienced technical specialists to deliver results through information technology and telecommunication services. We are effective in answering commercial business’ and federal agencies concerns with IT solutions. We are responsive to each client’s specific needs and assist in achieving their goals. The executive team at Transcendence prides itself in hiring experienced, highly-qualified, dedicated consultants. Your mission is critical and Transcendence is committed to your success. We aspire to provide you with superior services and systems that you need to stay competitive. 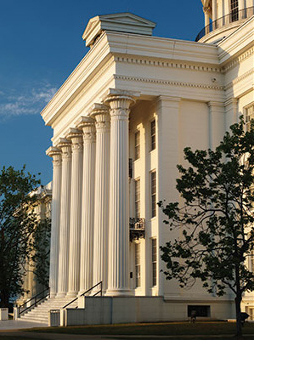 Headquartered in historic Montgomery, Alabama, Transcendence has business and consultants stationed across the globe in support of our clients in the public and private sector. If you think you know Montgomery, check out the NEW Montgomery, touted as the Seattle of the South for it’s cultural relevance, and revitalization efforts steeped in sustainable new urban practices. Learn more at VisitingMontgomery.com.